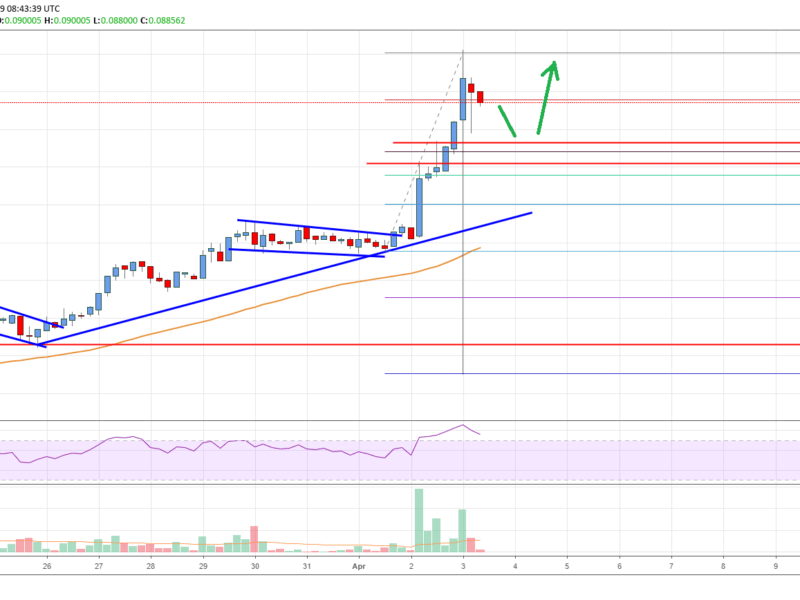 ADA price surged more than 20% after forming a support base near $0.0565 against the US Dollar. The price traded above the key $0.0700 and $0.0800 resistance levels in the past three sessions. There was a break above a couple of declining channels or bullish flags at $0.0620 and $0.0710 on the 4-hours chart (data feed via Kraken). The price pumped above the $0.0900 level and tested the $0.0950 resistance level.